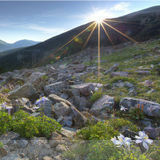 MeetALandscaper.com’s Denver find a landscaper service connects people looking for landscaping with a nationwide network of landscaping companies, commercial landscapers, landscape architects, and private contractors available for hire in Denver. With access to so many Denver landscaping options in one place our website makes finding a great landscaping service fast and easy. Landscapers will do the work, you either don’t have time for, don’t know how to do, or simply don’t want to do. From grass cutting to weed control, culling flower beds, and even hardscaping, decking, outdoor lighting and more, landscapers in Denver, Colorado can help you bring your backyard and outdoor living ideas to life! How to Have the Best Looking Denver, Colorado Home on the Block? 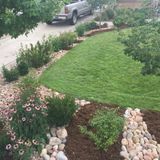 To start your search for the perfect Denver landscaper for your property, all you need to do is browse our list of local landscapers in Denver, find professionals who have the skills you require, contact them about their landscaping services, and choose the landscaper who is best for you. It’s that quick and easy! Don’t feel like searching or just want to improve your chances of finding the right Denver landscaper? 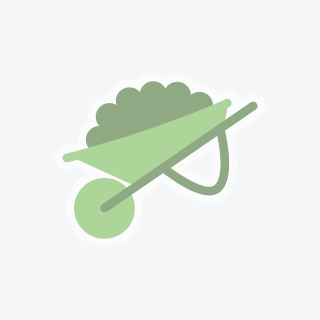 Post a job to our Denver, Colorado landscaping job board to allow local landscapers to come to you. Let a Denver landscaper handle the hard work, so you can reap the benefits of having the best curb appeal in your neighborhood. Find a professional landscaper in Denver today! Will be on time, and always provide quality work.Will be on time, and always provide quality work.Will be on time, and always provide quality work.Will be on time, and always provide quality work. Any household that needs helps with there Lawn that is realtively close to my house.Has a lawnmower and weeding tools.Any household that needs helps with there Lawn that is realtively close to my house.Has a lawnmower and weeding tools.Any household that needs helps with there Lawn that is realtively close to my house.Has a lawnmower and weeding tools. Hi I’m Mike👋🏻I just want to earn some extra cash helping people get the most out of their outdoor space!Hi I’m Mike👋🏻I just want to earn some extra cash helping people get the most out of their outdoor space!Hi I’m Mike👋🏻I just want to earn some extra cash helping people get the most out of their outdoor space!